Spinning, Dyeing, Granny Squares and Bookbinding! Some amazing classes are starting this weekend and early next week. Still time to sign up to try something new. Register in person or by phone at least two days prior to the start of class! This is a two night beginner spinning class using an Ashford Wheel, and includes equipment rental for a three week period. Participants will learn how to set up and use the equipment. All materials included ($40 reduction in cost if you have your own Ashford Wheel). Learn to dye natural fibres using plant dyes. You will learn the basics of natural dyeing, and how to harvest from your own landbase. Minimum 4 – maximum 8 participants. A beyond-the-basics crochet workshop to get you on the way to creating your own traditional blanket square. Materials needed: One 6.5mm hook and 2 balls of a chunky weight yarn (for beginners). Materials can be purchased at Baaad Anna’s Yarn Store. In this workshop we will be cooking down walnut husks that were collected from the tree Caitlin climbed as a child (She still climbs it when she goes to visit her Mom)- and making our own drawing ink. 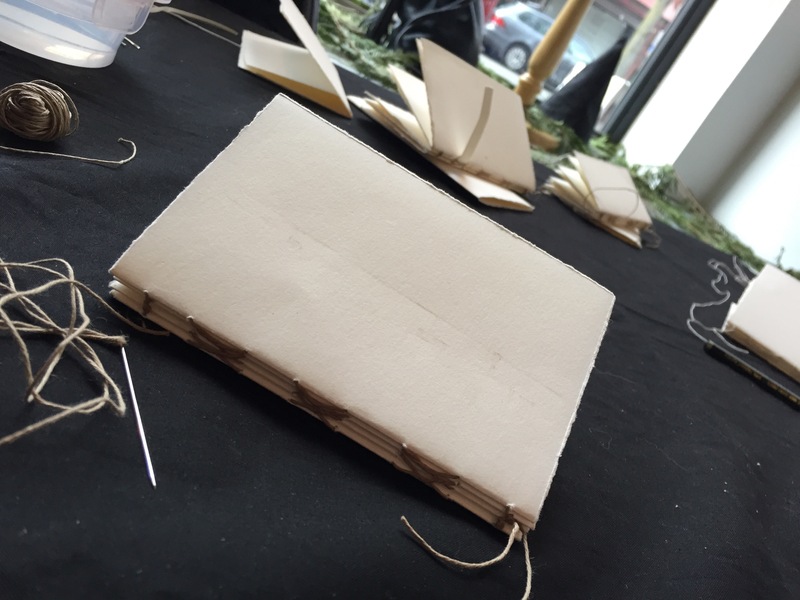 We will also be binding rag paper into small books using linen thread. Minimum 4 – maximum 10 participants.